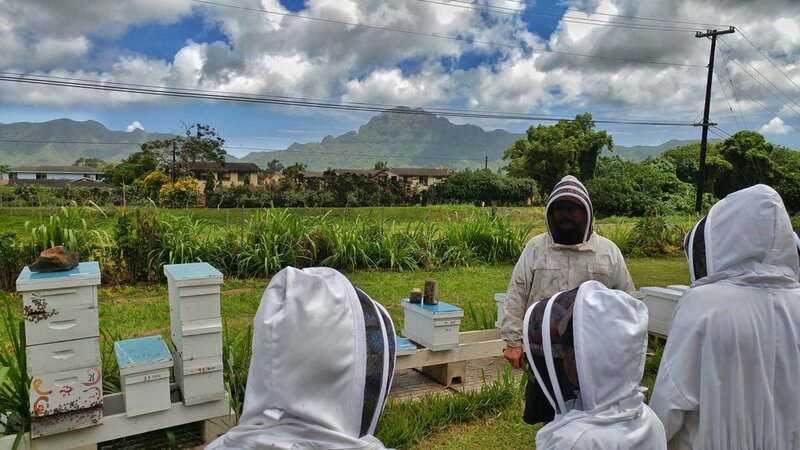 Our mission is to assist, educate and share with fellow beekeepers; to educate the public in matters related to honey bees and beekeeping; to promote beekeeping by creating a positive image of honey bees, beekeeping and bee products; to advocate for and help support a healthy environment for bees. We meet on the 3rd Wednesday of each month at 6pm on the campus of Kaua'i Community College in Puhi. Contact Jimmy Trujillo (808.346.7725 or jtrujill@hawaii.edu) for meeting location and agenda details. This page is to help errant bees find a better place to reside. 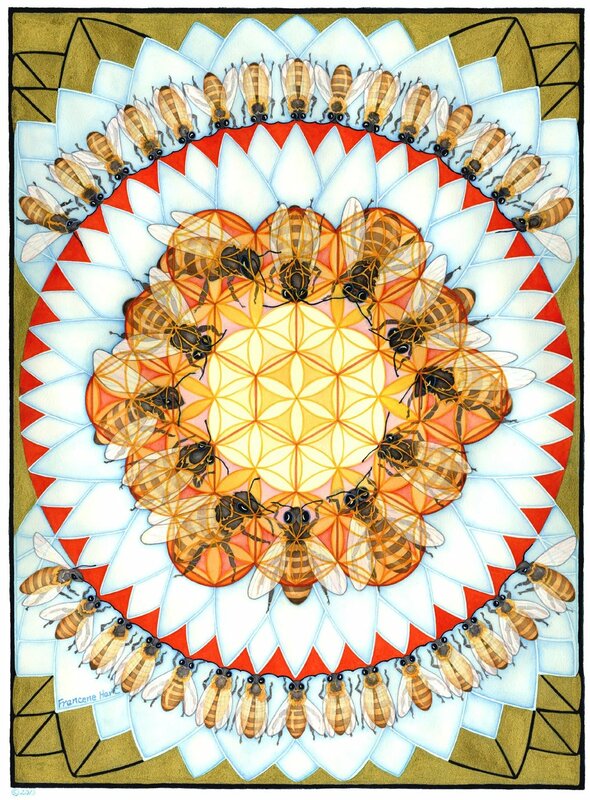 Often honeybee colonies will relocate themselves. This relocation process, known as 'swarming', can occur for a variety of reasons. When swarms happen the colony of honeybees leaves its former home and attempts to find a new one. This can bee an abandoned vehicle or household appliance. Often the swarm will first land on an object near the original hive location and gather in a cluster or mass of bee like you see in the picture above. Call a local beekeeper to help find a home for your unwanted bees. 808 area code for all #'s beelow unless otherwise noted. Find a beekeeper closest to you first. If they are busy or unavailable try to find one in another region on island. 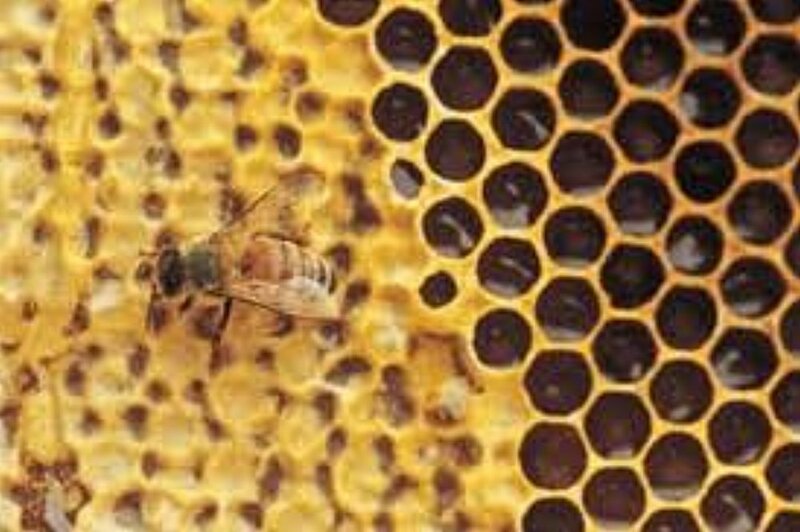 bees store their honey in hexagon shaped wax cells called comb. the honey comb is mostly all honey but sometimes contains a pollen based mixture of nectar and pollen. this is often referred to as 'bee bread'. often, bees will leave their old hive space in search of a new one.